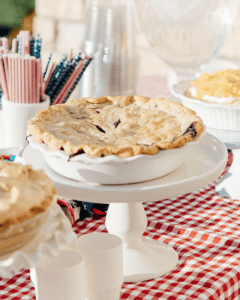 Here is the second installment for Holiday Hosting at Home blog hop! 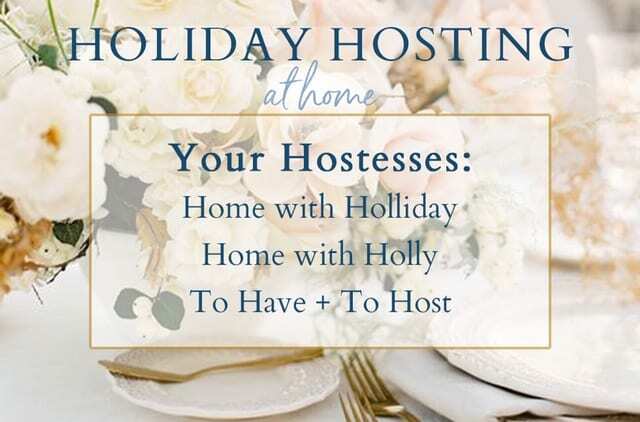 I’ve teamed up with two talented friends, Home with Holliday and To Have + To Host, who are both masters of tablescaping and entertaining at home. 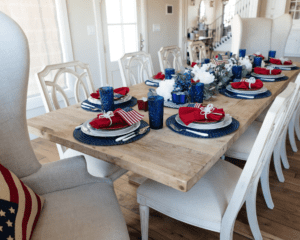 From Fall decor to fantastic table settings to hosting tips, we hope you come along for some inspiration on how to entertain at home this holiday season. Please go to the original post linked below each image if you would like to pin any of the images or to get sources. 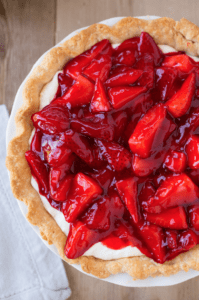 I encourage you to check out their blogs – there’s so much to see and I know you feel inspired after visiting their sites! Here, my friend Holliday shows you how you can use things from nature to decorate your table. She uses green apples, Pine springs and pinecones to make a centerpiece. 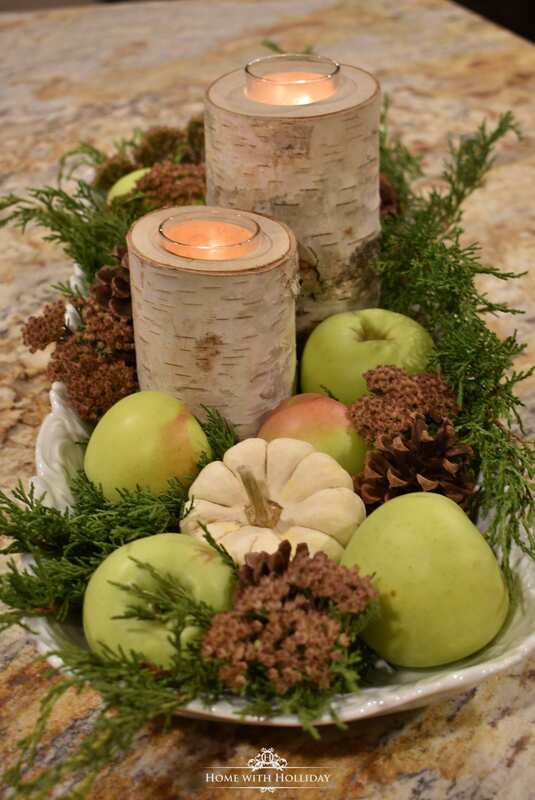 The birch log candles mixed in with the pumpkin and pine springs creates a warm and cozy centerpiece. Click here for the full blog post. Fall Centerpiece with Green Apples. 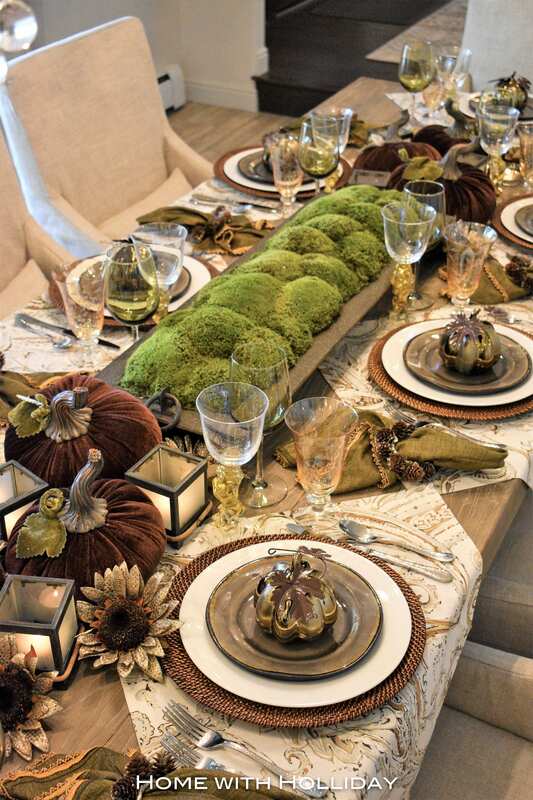 In this next tablescape, Holliday used a green moss centerpiece and brown velvet pumpkins in the middle. 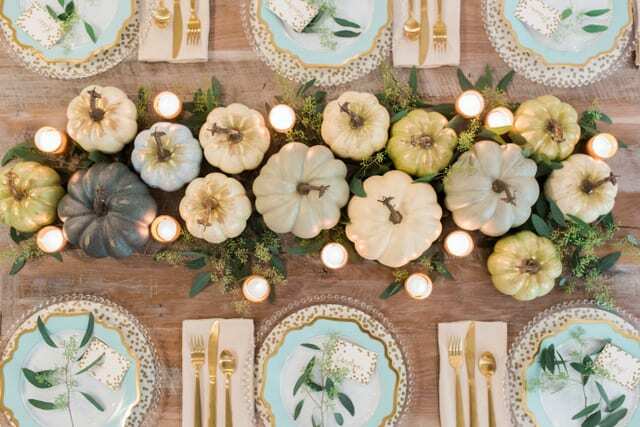 She adds an extra touch by using green glass pumpkins on each place setting. I love how she uses napkins under each place setting as a place mat and the pumpkins on top of the plates to add depth and color. This is so creative! 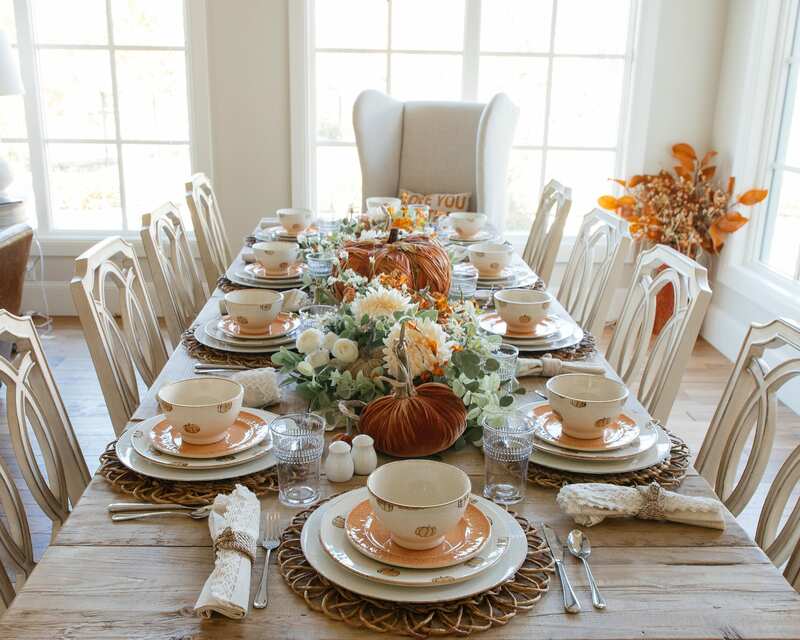 Click here for Creative Ideas for Fall/Thanksgiving Table Setting and Home Decor. You have to see Lory’s Magical, Mystical Halloween Table from the Graveyard! There is no orange or purple on this table! 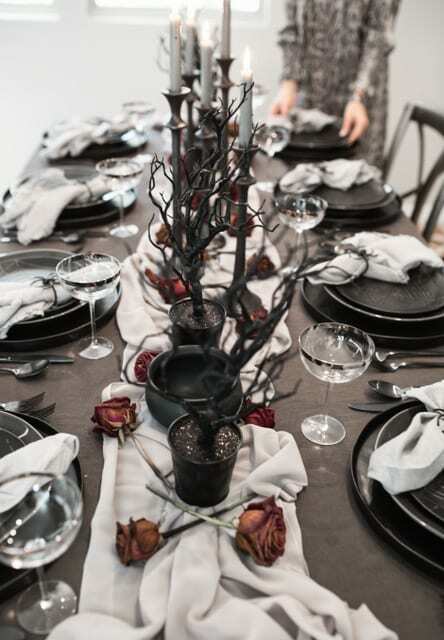 Lory used black, charcoal, and smoky gray to create the look in this dark and eerie tablescape. Click here to see the details. 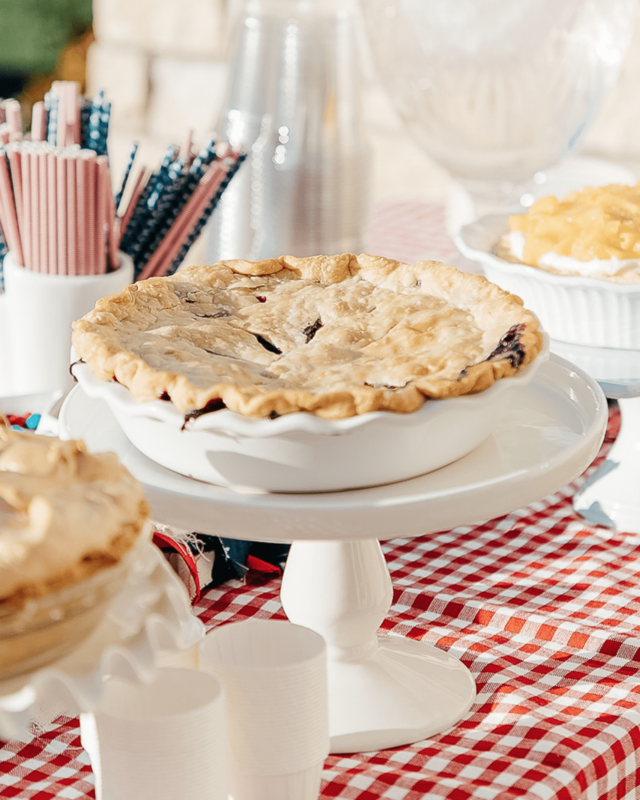 For Lory’s thanksgiving table, she wanted to try something different and unexpected. 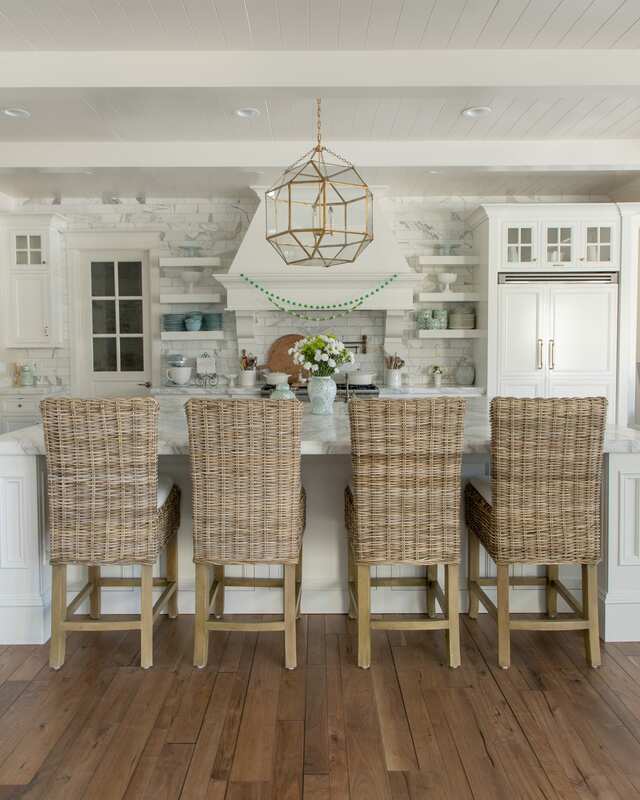 She used a neutral, soft palette with aqua, cream, and celadon. These colors are so beautiful together. Her colors are versatile and can be used for Fall and Winter. Click here to see the full post. Here I used a large wooden pumpkin in the center and nestled in orange, tan, and brown velvet pumpkins throughout the greenery and flowers. I used different salad plates to create two versions of this fun and festive tablescape. This is perfect for Fall and Halloween! Click here to see the full post. For this next tablescape, I wanted to use the same table swag for both Thanksgiving and Christmas. 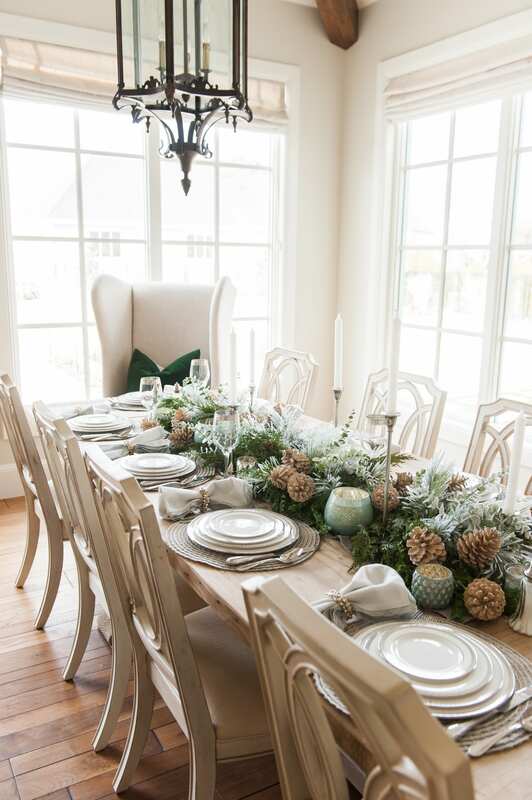 I used faux frosted tip pine branches, frosted eucalyptus, pine cone picks that were painted the same color as the table, and faux cedar branches. I used my fine china and I share the story of how my husband surprised me with this 20th Anniversary China. This Thanksgiving Silver and White tablescape is elegant and versatile. Click here to see the entire post. 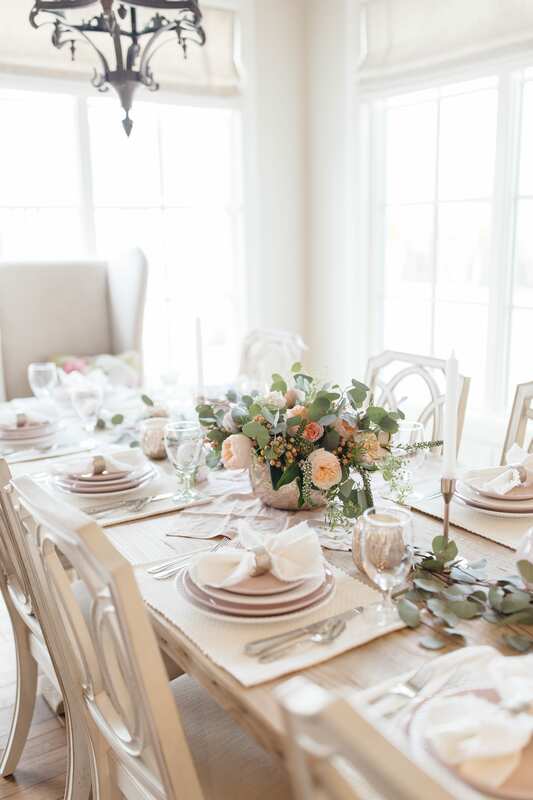 Keep watching for more ideas on Fall tablescapes, entertaining and decor ideas in the coming months. We love sharing photos of our creations so that you have inspiration from all of us! Come follow us along on our individual journeys! For sources, please go to each individual blog post.